The Beach Resort Bagni Orano is located in the center of the beach of Lacona, the largest of the District of Capoliveri. 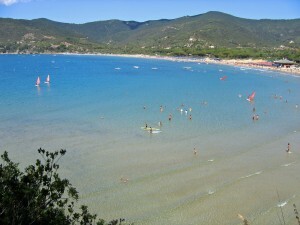 The long foreshore of fine and golden sand stretches for over a mile, bounded on the east and west by the verdant promontories of Capo Stella and Capo di Fonza. 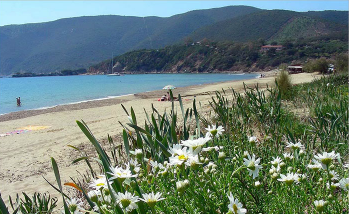 The crystal clear sea, with its sandy sea bottom, slopes gently toward rocky and Posidonia seabeds. On the horizon it is possible to admire the Island of Montecristo, while behind the magnificent Sand Dunes, unique in the Tuscan Archipelago, represent an important environmental heritage of our Natural Park, considering its rare existence in Italy. Our Beach Resort has everything you need to make your stay pleasant and relaxing. In addition to renting beach umbrellas, beach chairs and assisting swimmers, our clients can take advantage of the following amenities: free parking, changing rooms, bathing huts, hot and cold showers, toilets, infirmary, storage for inflatable games, relax area, play area for kids, Wi-Fi and shuttle service to get the boats moored in the Gulf. Finally the Bar Pizzeria Restaurant propose you a varied menu, with express cooking, salads, grilled food, sandwiches, coffee and ice creams. 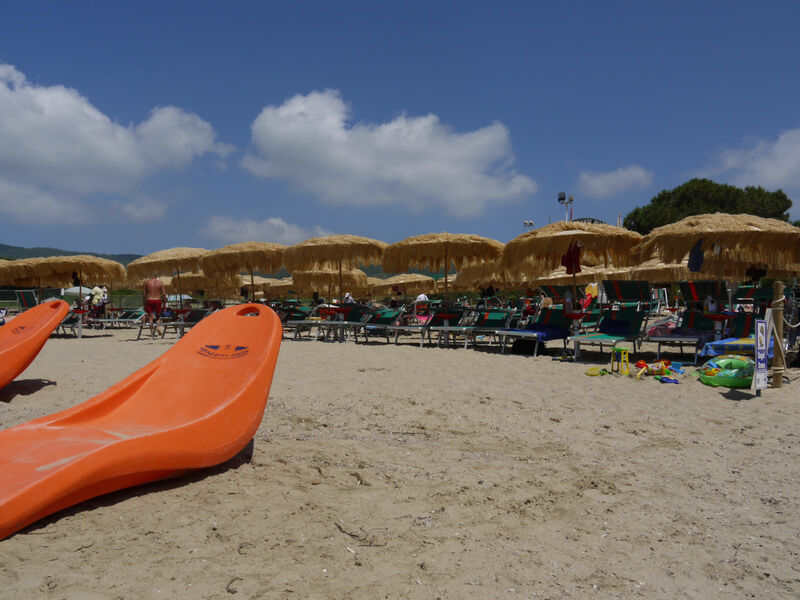 Due to its location and services offered, the Beach Resort is ideal both for families and young people. 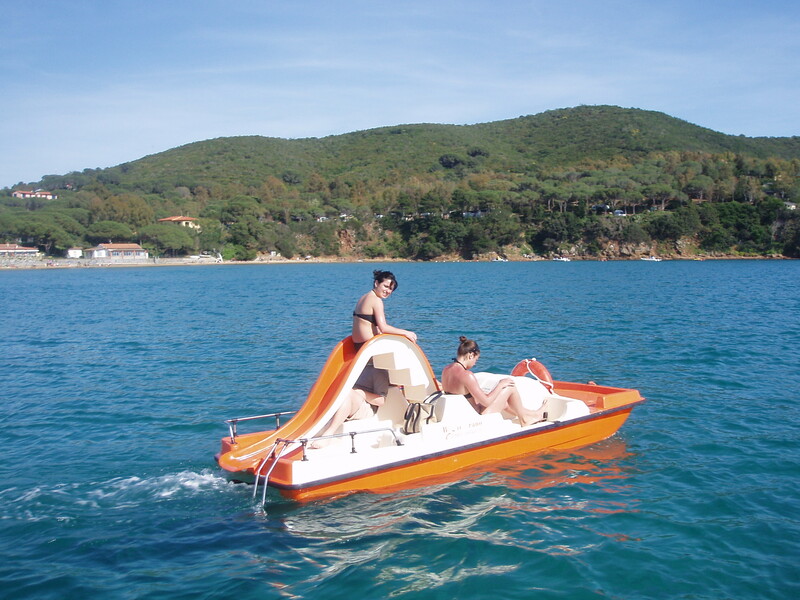 It is suitable for people who want an absolute relaxing holiday under a beach umbrella, but also for those who love doing activities, such as exploring ravines and clefts, particulary beautiful along the Gulf and easily reached by kayaks or pedal boats. People also have the opportunity to snorkel between the sea grass and the gentle cliffs. 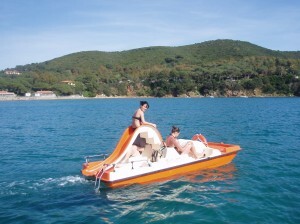 And now relax, thinking about the Gulf, one of the most beautiful and distinguishing of the Tuscan Archipelago.